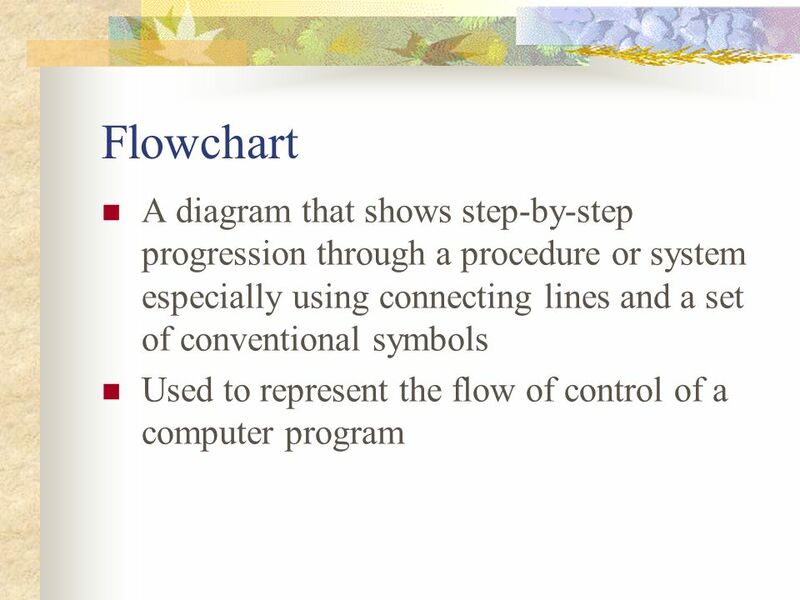 Selection If Flowchart A diagram that shows step-by-step progression through a procedure or system especially using connecting lines and a set of conventional. 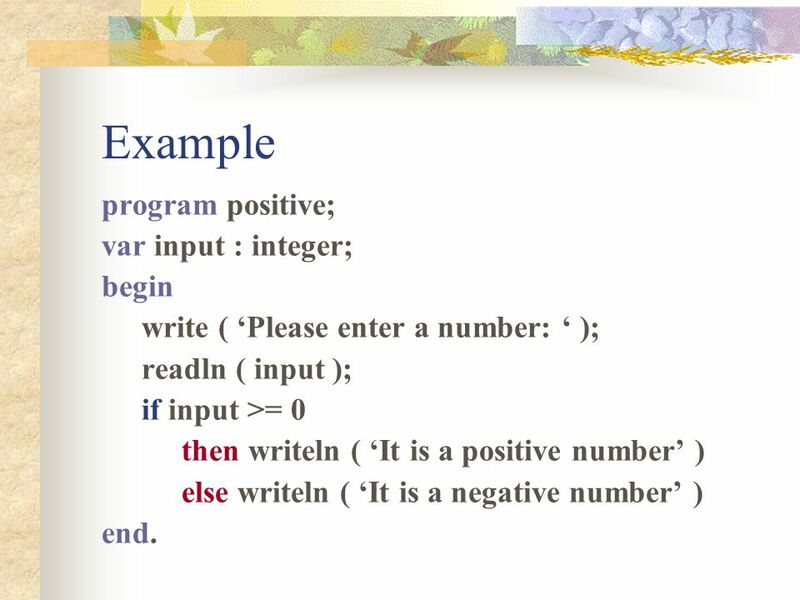 14 Example program positive; var input : integer; begin write ( ‘Please enter a number: ‘ ); readln ( input ); if input >= 0 then writeln ( ‘It is a positive number’ ) else writeln ( ‘It is a negative number’ ) end. 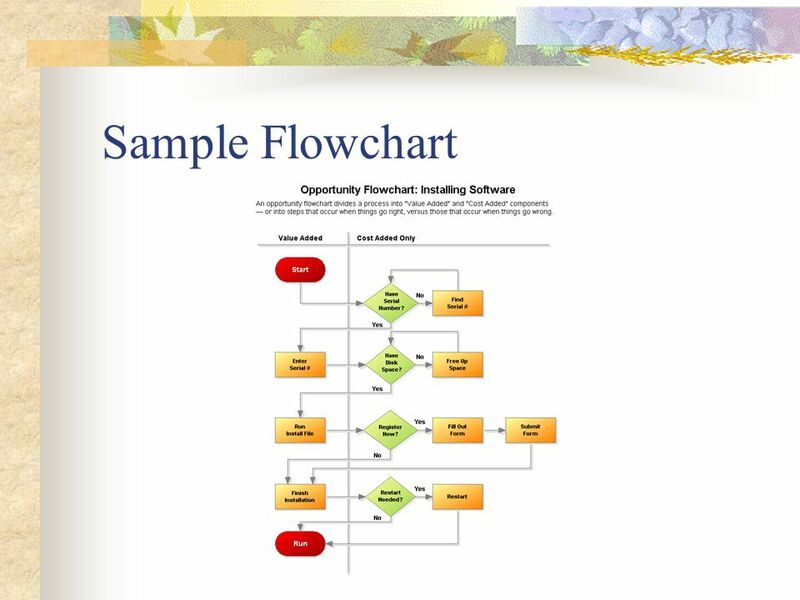 Download ppt "Selection If Flowchart A diagram that shows step-by-step progression through a procedure or system especially using connecting lines and a set of conventional." 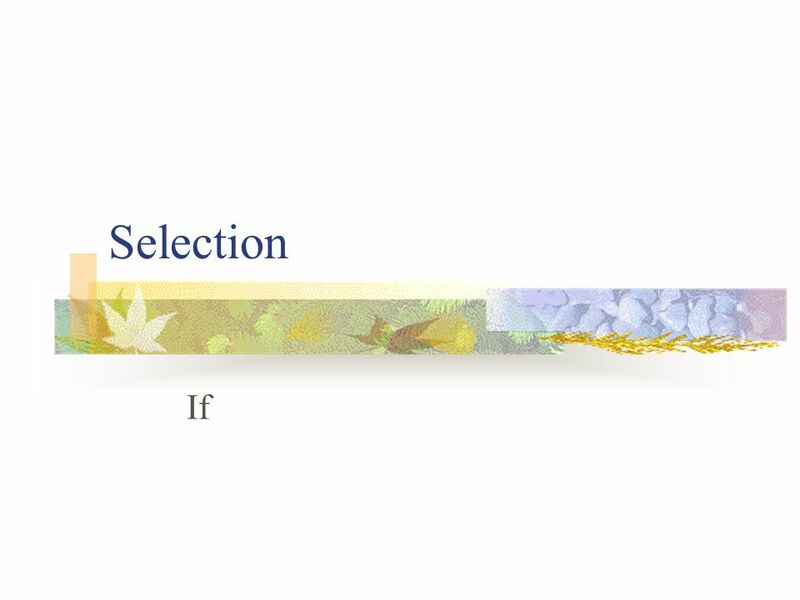 Selection Process If … then … else.... 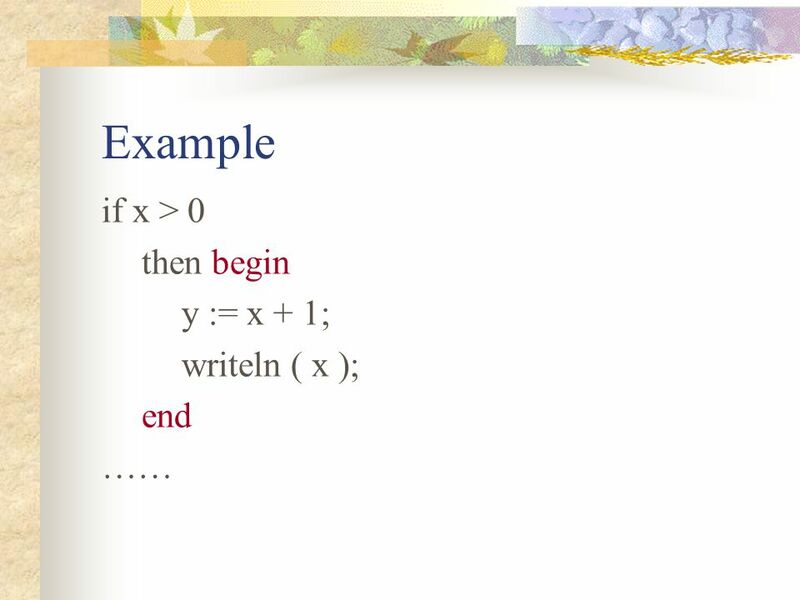 Condition Process 2 Process 1 Y.
Pascal Syntax. 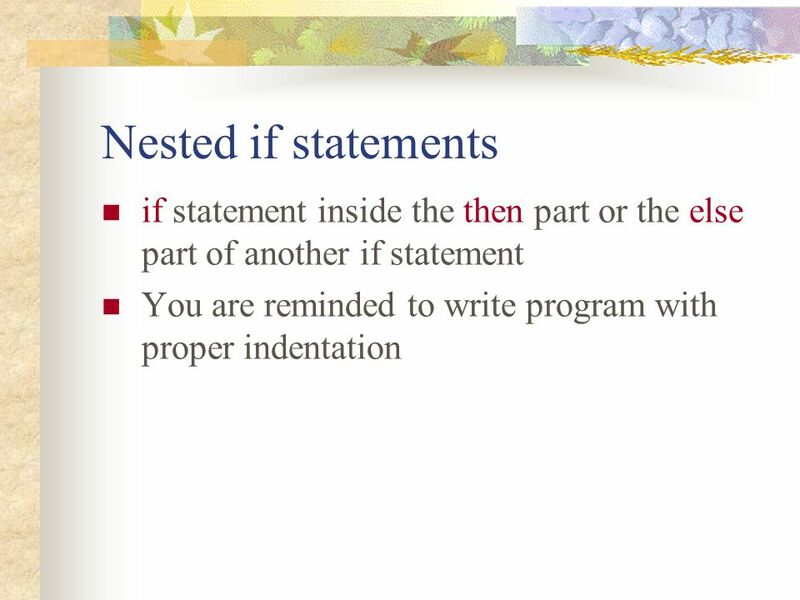 What you have learnt so far writeln() and write(); readln() and read(); variables (integers, strings, character) manipulation of variables. 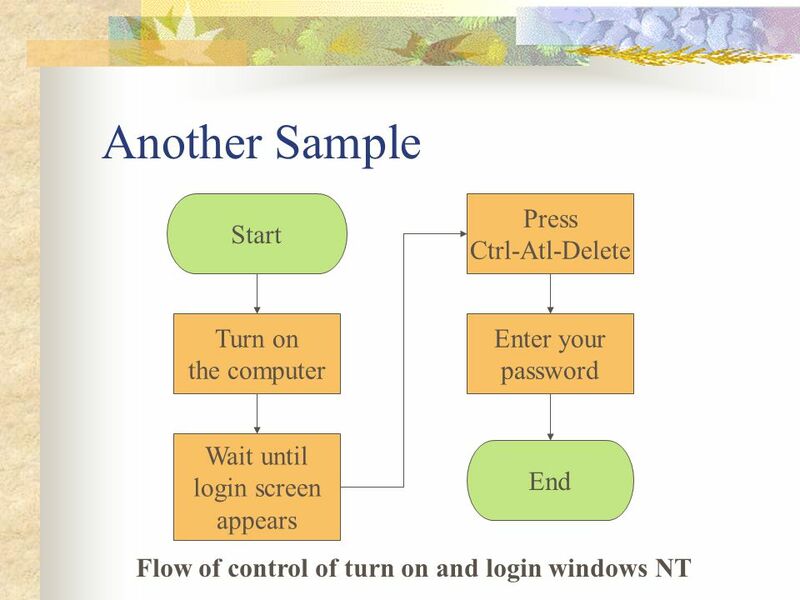 Microsoft Visual Basic 2005: Reloaded Second Edition Chapter 4 Making Decisions in a Program. 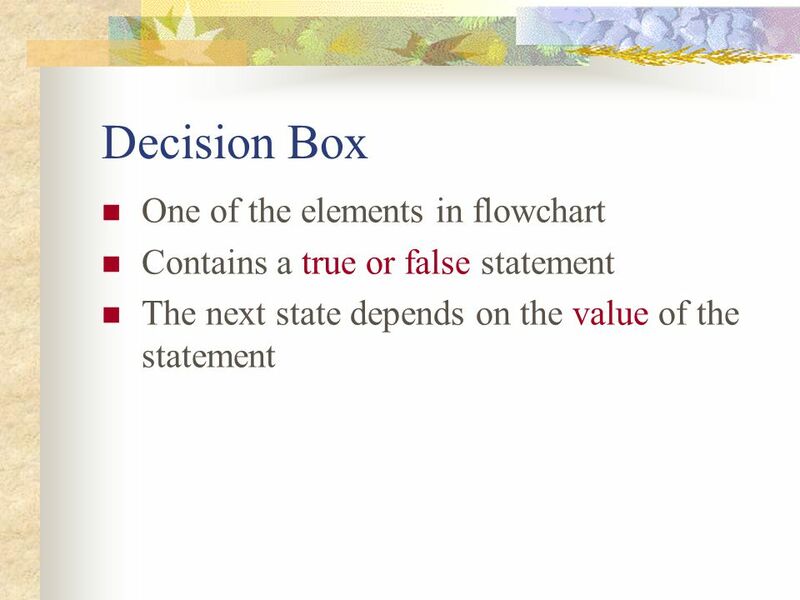 3 Decision Making: Equality and Relational Operators A condition is an expression that can be either true or false. 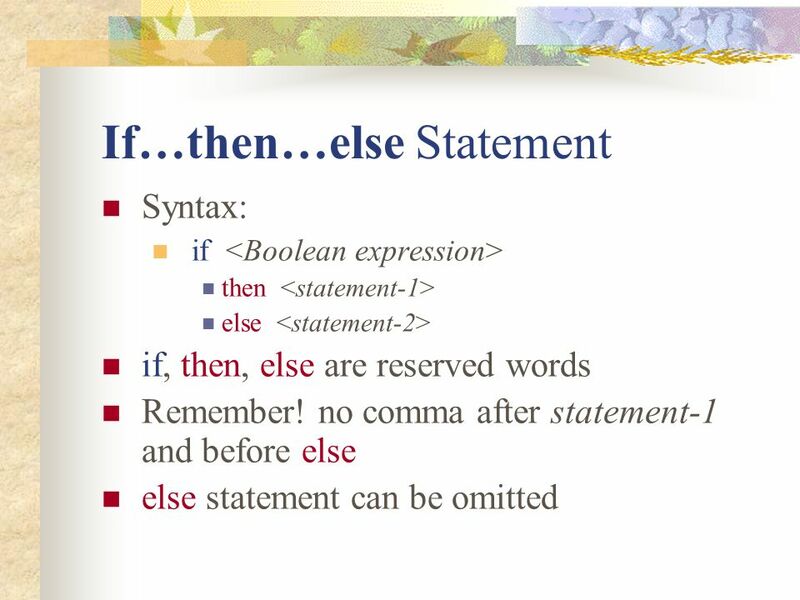 Conditions can be formed using the. 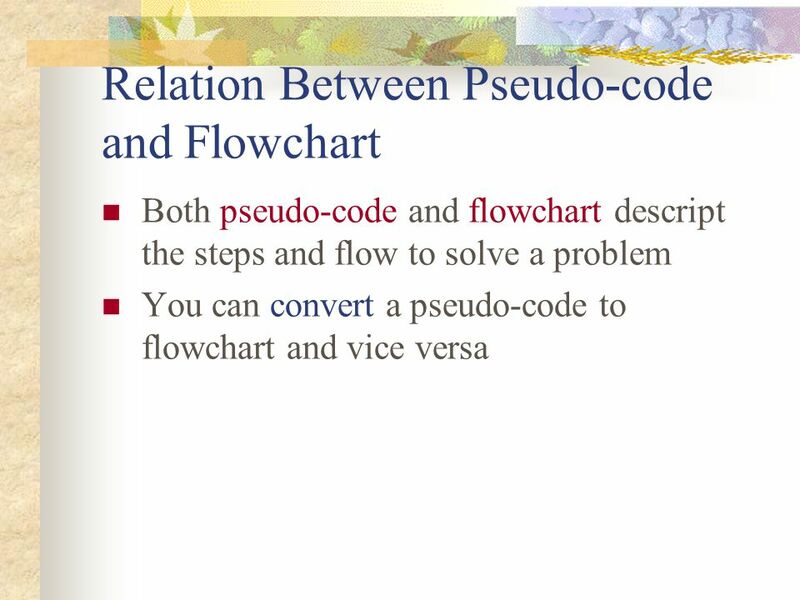  Control structures  Algorithm & flowchart  If statements  While statements. 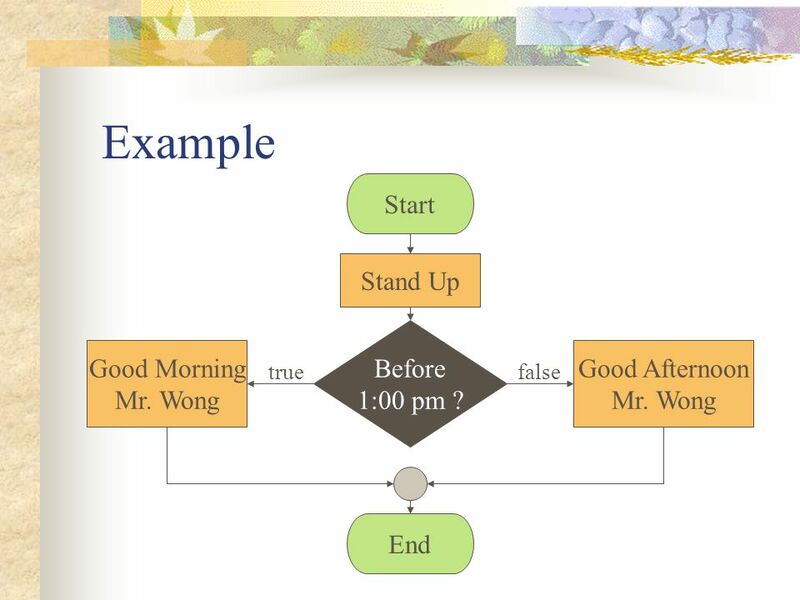 CHAPTER 5: LOOP STRUCTURES Introduction to Computer Science Using Ruby (c) 2012 Ophir Frieder et al. 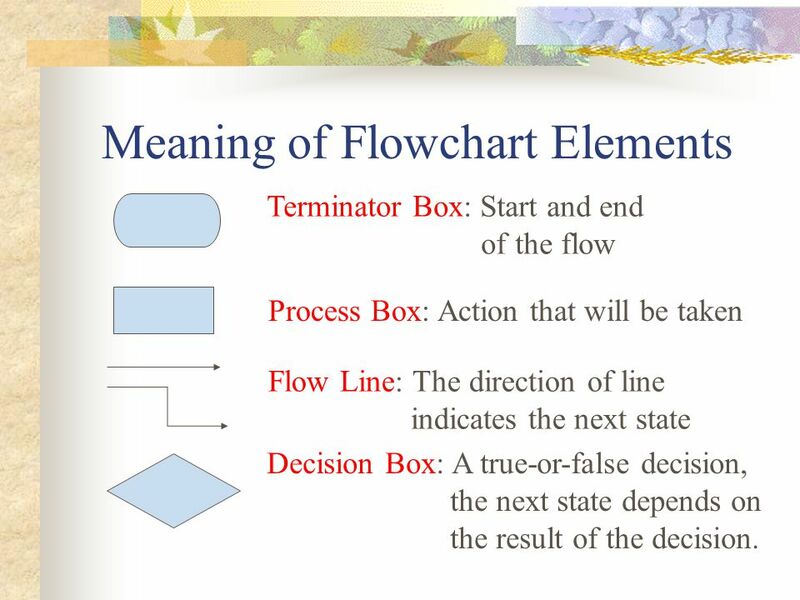 Val Function A Function performs an action and returns a value The expression to operate upon, known as the argument, (or multiple arguments), must be. 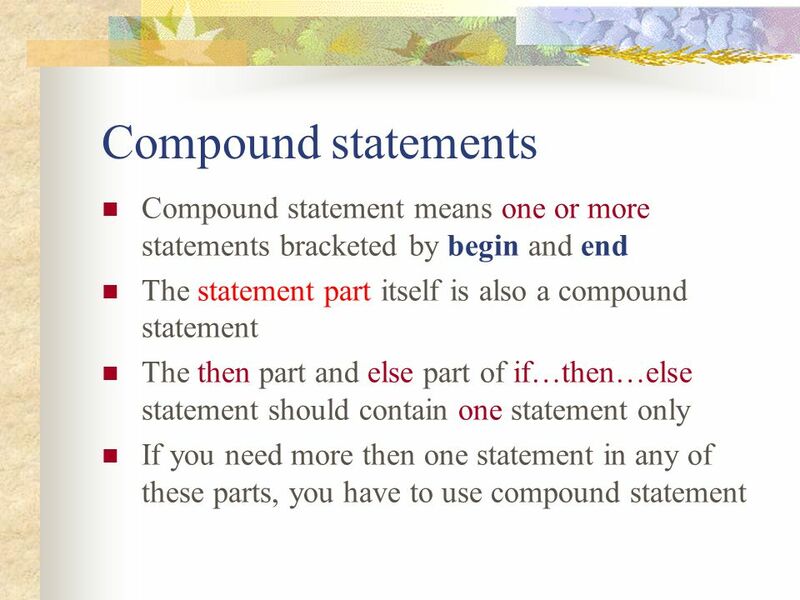 CMP 131 Introduction to Computer Programming Violetta Cavalli-Sforza Week 3, Lecture 2.  2001 Deitel & Associates, Inc. All rights reserved. 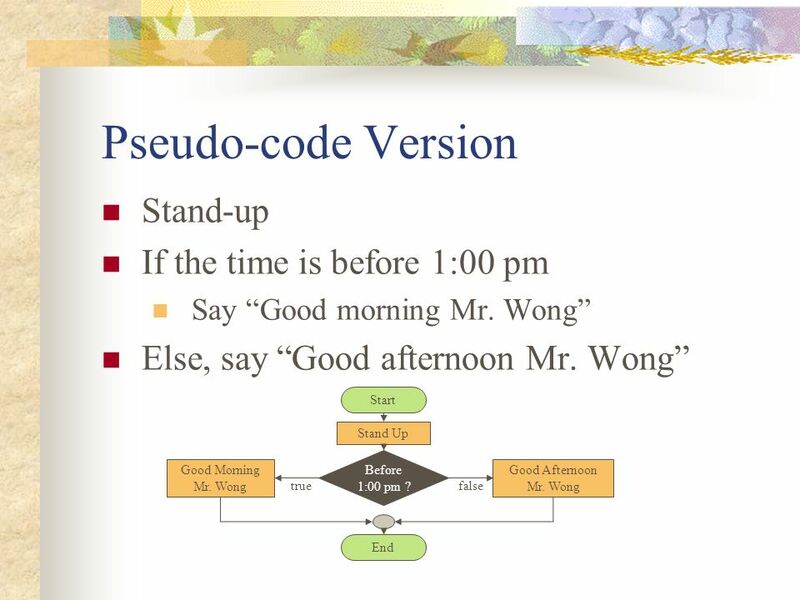 1 Outline 14.1Introduction 14.2Algorithms 14.3Pseudocode 14.4Control Structures 14.5The if Selection. 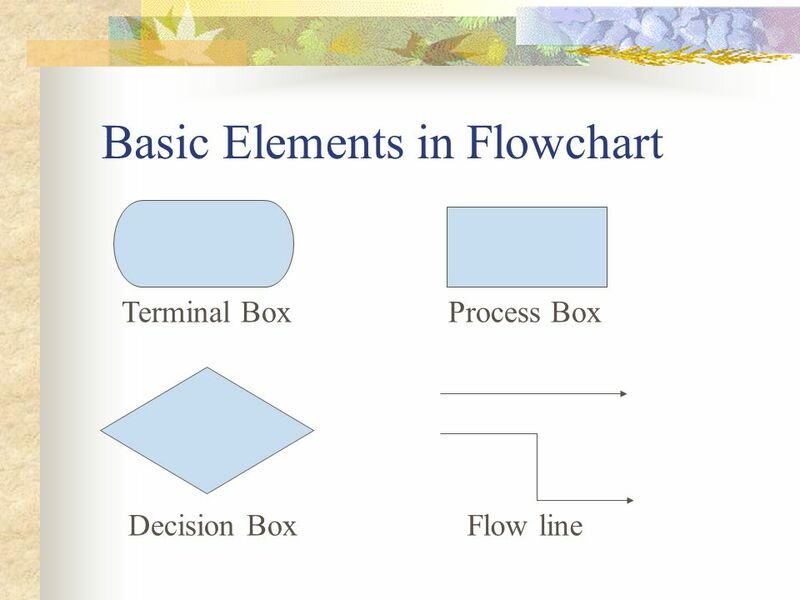 Basic Elements of Programming A VB program is built from statements, statements from expressions, expressions from operators and operands, and operands. 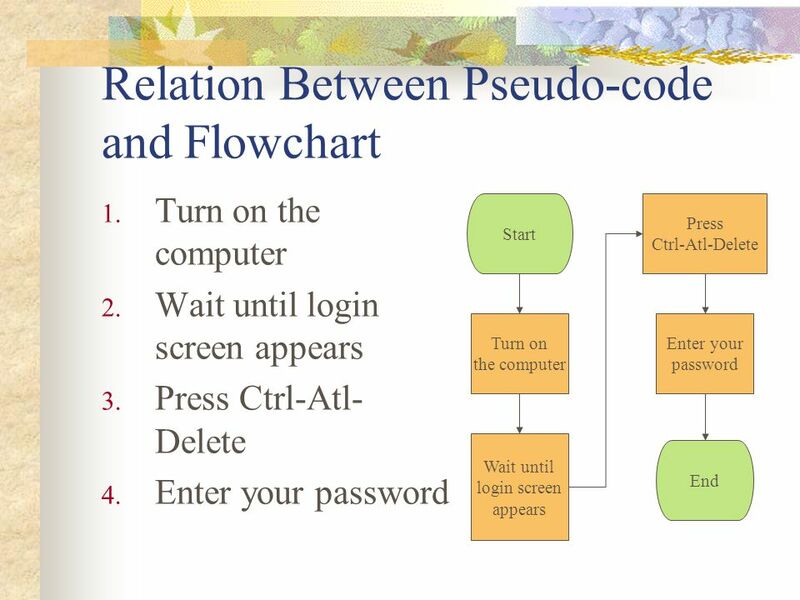 © Copyright 1992–2004 by Deitel & Associates, Inc. and Pearson Education Inc. All Rights Reserved. 1 Chapter 3 - Structured Program Development Outline.